Once you have experienced hope through the eyes of a child who lives in poverty or a homeless shelter, you will never think of hope with the same perspective. When attending a Day of Hope, parents prepare by hearing stories of past Day of Hope adventures or struggle with the thought of being taken to the country and being uneasy about the unknown that is facing them. A child on the other hand, if left to their own volition, might conjure up the wonder and magical mystery of going to the country and what might be lurking in the woods. Children can create images that are unique and out of nowhere their inborn natural relationship with nature evolves. It is such a joyful time seeing the children arrive with a bit of apprehension as they transform into the world of nature with such ease. While the older youth and adults are much more apprehensive, their transformation is not quite as quick. But, everyone seems to find his or her place in nature before the day is done. You may have heard the term “wide-eyed innocence” when it comes to a child or childish behavior. I personally find this behavior refreshing to see and experience. For a day, those who attend a Day of Hope are able to put their cares behind them and just be free to be. At the end of the day, the participants talk about hope around a symbolic lighthouse and each participant is given a Key of Hope as a reminder that “THE KEY—Open Hearts 2 HOPE.” Having been fortunate enough to see the children and families after Day of Hope events, many are still wearing their key around their neck with pride. It is our HOPE that LIGHTFEST Re-Ignited will be world-changing!! I first became involved with We Survive and Day of Hope as a first-year pharmacy student. The Day of Hope event was the first service learning project I had undertaken in pharmacy school. I didn’t really know what to expect other than I knew I was going to help provide health education to underprivileged children and their families. Each of the pharmacy students were paired up with one of the children from the shelter. The child with whom I was paired was one of the older ones there, and he was definitely not thrilled that he had to participate. I tried talking to him and getting him to open up, but all I got was nowhere fast. I get it—we are from two vastly different worlds, and to be completely honest, I probably would have been just as aloof as he was if I was in his shoes. The day itself had various activities. 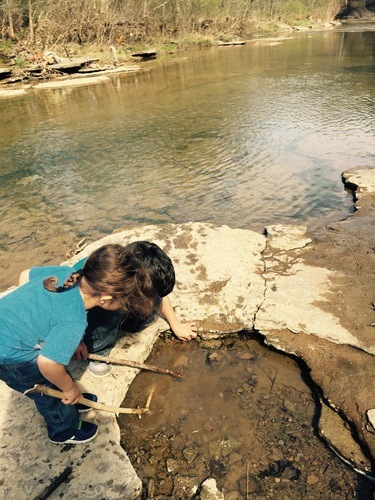 There was an educational component to it, of course, but the children and families also got to explore nature. For most of them, I’d hedge a bet that it was the first time they’d ever been out of the city. The young man with whom I was partnered started loosening up a little when we went on the hike, but he really came out of his shell when we went down to the creek. He absolutely loved being able to explore the creek. His biggest prize was the frog that he caught. We had to pry him from the creek when it was time for the groups to change activities. He did a 180 from the time he arrived at the farm to the time that he left. Being out at the farm did wonders for him, even if it may have only been for that day. The children and families that participated in the event were so gracious and so thankful. If not for the Day of Hope, I don’t think a lot of these folks would have the opportunity to get out into the country and experience nature in its true form. Seeing the children and families being able to enjoy their day with playing games and being out in nature and being able to forget about life for a while was a great opportunity for me as well. I’ve participated in the Day of Hope event each of my 3 years in pharmacy school. I graduate in June, and while I know that I won’t always be able to attend the Day of Hope event every year, it is an organization that I do wish to continue to support. As a child, Muhammad Ali grew up in Louisville, Kentucky. At the age of 12, someone stole his bicycle and he wanted to “whip” the thief, but trained to be a boxer instead. A dream was followed and a “Champion” was discovered. A lot of inner city youth get outdoors to ride their bike, if they have a bike. When they are outside, it often means they are surrounded by what is known as the “asphalt jungle” with minimal grass and trees. 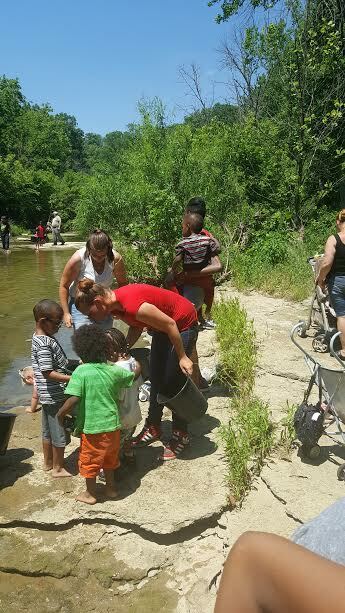 On June 11, 2016, Bloomfield, a small Kentucky town, reached out to children and families from the inner city for National Get Outdoors Day. 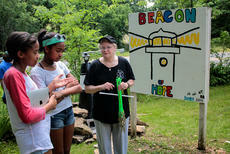 We Survive’s Haven of Hope and the City of Bloomfield coordinated ScenicFest a LIGHTFEST Re-Ignited Activity for National Get Outdoors Day. Exploring the creek at Haven of Hope. As participating partners of National Get Outdoors Day, ScenicFest offered opportunities for families to experience traditional and non-traditional types of outdoor activities. ScenicFest brought a small town experience to a group of inner city children and families who know poverty and homelessness first hand. Taking a scenic bus ride to Bloomfield, Kentucky, the group stopped at Haven of Hope. Greeted by volunteers, the children played, hiked, ate lunch and waded in the creek while the adults observed or joined in the activities. The next stop was Bloomfield’s Memorial Park where Bloomfield Mayor Rhonda Hagan and Councilwoman Tammy Wimpsett were eager to welcome the group. 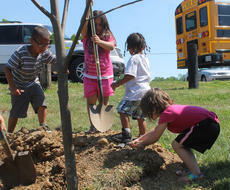 Children use shovels and hands to fill in around the tulip poplar tree they helped plant at Bloomfield Memorial Park. 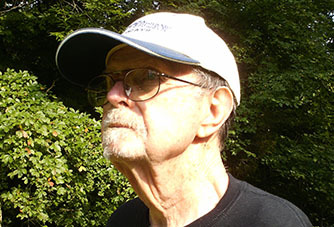 Picture from Randy Patrick at the Kentucky Standard. ScenicFest, like the other LIGHTFEST Re-Ignited activities, shared the plight of those living in poverty and those susceptible to poverty and homelessness while empowering participants to BELIEVE in the power of having a dream. LIGHTFEST originated at Churchill Downs in 1997 and was born from the 1996 Summer Olympics Torch Relay to ignite Hopes and Dreams. In 2014, LIGHTFEST was re-ignited with a reception held at the Muhammad Ali Center. 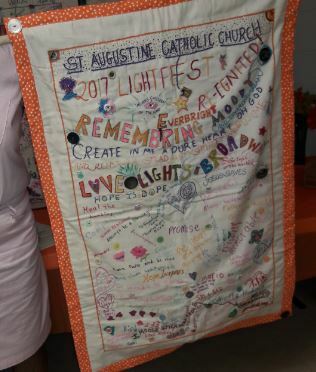 LIGHTFEST Re-ignited took the place of We Survive’s annual Hunger and Homelessness event held every November one week before the National Coalition for the Homeless Hunger and Homeless Awareness week. November 5, 2016, there is a worldwide initiative to Shine a Light of Hope so that children and their families know that the world cares about their difficult circumstances, while bringing attention to the need of those dealing with or are susceptible to hunger and homelessness. May is Mental Health Awareness Month. It offers us the opportunity to look at mental health for our family and ourselves. Teens have so much on their plate these days with the fast paced world in which we live. The Internet brings everything to the forefront except for the one thing teens need—one-on- one time. Reason #2 says, “Teenagers live in a world that is more stressed than ever before. They get overloaded with pressure at school, conflicts at home, relationship problems, and career choices. Many have to deal with divorce, moves, financial struggles, jobs, and blended families. When stress builds up, teens cope however they can. They may drink, drive aggressively, get high, overeat, go shopping, spend hours on the computer or playing video games, or take out their frustration on others. 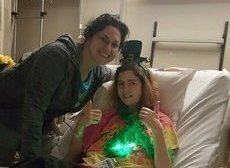 On June 11, 2016, Bloomfield, KY and We Survive’s Haven of Hope will hold a GO Day activity – ScenicFest –a LIGHTFEST Re-ignited initiative. Besides the benefits of active time spent outdoors, ScenicFest will give you the chance to be adventurous spending time in a small one-stop light town—the City of Bloomfield. If you are traveling from the city to the country, you will enjoy a scenic ride. ScenicFest will be a mix of whole body wellness experiences from enjoying the scenic landscape, browsing at shops with antiques and collectibles, meeting friendly people walking, hiking, games, scavenger hunt, interactive health and wellness educational stations, arts and crafts. In other words a day full of fun and HOPE.